The following resources may serve useful for students/parents/teachers regarding social media. 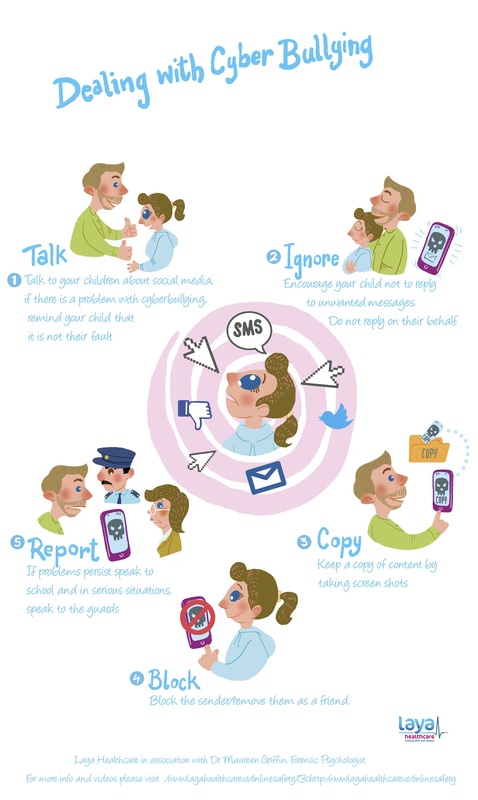 Thanks to the team at Laya Healthcare we have another resource for parents/guardians regarding online safety. You can check out more resources from Laya Healthcare at their Hub “Thrive” or click on the image here to download the guide. Great resources available from Webwise covering topics such as sexting, online grooming, online sexual coercion and extortion. The Be in Ctrl resource complements Lockers and both resources focus on educating pupils on appropriate online behaviour and developing a culture of reporting concerns while fostering empathy, respect and resilience. Congratulations to Clarecastle National School on their Internet and Technology Use Agreement, which serves to help and support both students and parents in managing technology use. It was a pleasure to work with you all on this. Timmy’s Technology Trouble is an exceptional, necessary and must read book. Addressing key issues parents and children face when navigating the world of technology, it does so in a non-judgemental, proactive and fun way. As a professional working in the area of online safety and a parent of two small boys, I have long waited for a book of this calibre. The perfect book to assist parents and children in understanding the impact of technology and managing our use. See https://www.timmystales.com/timmys-technology-trouble/ for more information and to get your hands on a copy. Links to external sites are provided as a convenience and for informational purposes only; they do not constitute an endorsement or an approval by MGMS Training Limited of any of the products, services or opinions of the corporation/organisation/individual. MGMS Training Limited bears no responsibility for the accuracy, legality or content of the external site or for that of subsequent links.